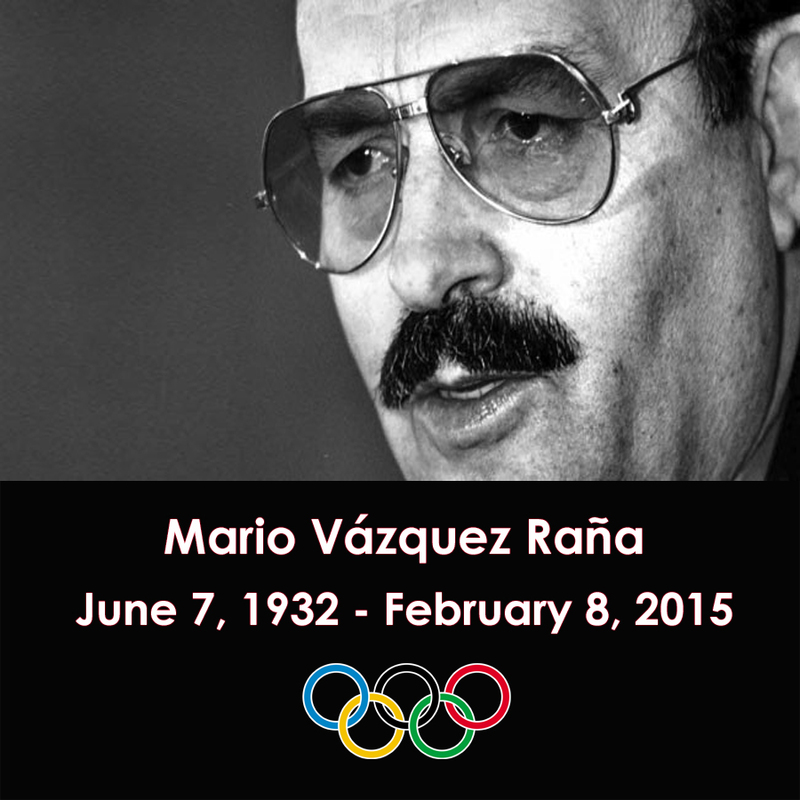 Mario Vasquez Raña Dies At Age 82 – Barbados Olympic Association Inc.
Mario Vasquez Raña, President of the Pan American Sports Organization since 1975 and former President of the Association of National Olympic Committees died on Sunday, February 8 in Mexico City after a short illness. Vasquez Raña, who at one time was one of the most influential figures in the Olympic Movement, assumed the Presidency of PASO in 1975 and was the inaugural President of the Association of National Olympic Committees, being elected in 1979. Steve Stoute, President of the Barbados Olympic Association, Inc. said that Vasquez Raña’s passing signals a new era in the management, control and culture of the Olympic Movement in the Americas. He indicated that he was present when Vasquez Raña was elected in 1975 as the President of PASO and has attended most of the meetings chaired by him since then. “ Mario revolutionized the organization, enhancing its finances and building the Pan American Games into one of the largest and most influential sporting events on the Olympic calendar. It is tragic that he would not be present at what should be the largest and most successful ever, Pan American Games, slated for July 2015 in Toronto,” Stoute said. Stoute also indicated that Vasquez Raña formed the Association of National Olympic Committees in 1979 in an effort to give national Olympic committees a stronger voice in the running of the Olympic Movement. He stepped down as the head of this organization in 2013, giving way to the current President, Sheik Ahamed Al Sabah. Mario Vasquez Raña visited Barbados numerous times, the last two visits being on the occasion of the opening of the Barbados Olympic Centre by IOC President Jacques Rogge and in July 2013 when he chaired an Executive Meeting of the Pan American Sports Organization which attracted over 100 delegates to Barbados. On that visit, he met with Prime Minister Freundel Stuart at Ilaro Court and discussed a number of issues, not only relating to sport, but also surrounding Barbados’ relationship with the Republic of Mexico. Mario Vasquez Raña has assisted Barbados in a number of projects and at the time of his death, was working with the BOA and the International Hockey Federation, towards the renovation and revitalization of the Barbados Hockey Centre, which he hoped would become a regional training centre for field hockey. It is anticipated that this project will proceed, despite the President’s passing. Stoute expressed sincere condolences to Don Mario’s wife, Paquita and his five children on behalf of the Olympic Movement of Barbados. He also extended regrets to the Mexican Olympic Movement and to the PASO family as a whole. He indicated that the Olympic Movement has lost one of its most formidable icons who, during his lifetime, perhaps had a unique and fundamental impact on the International Olympic Movement.